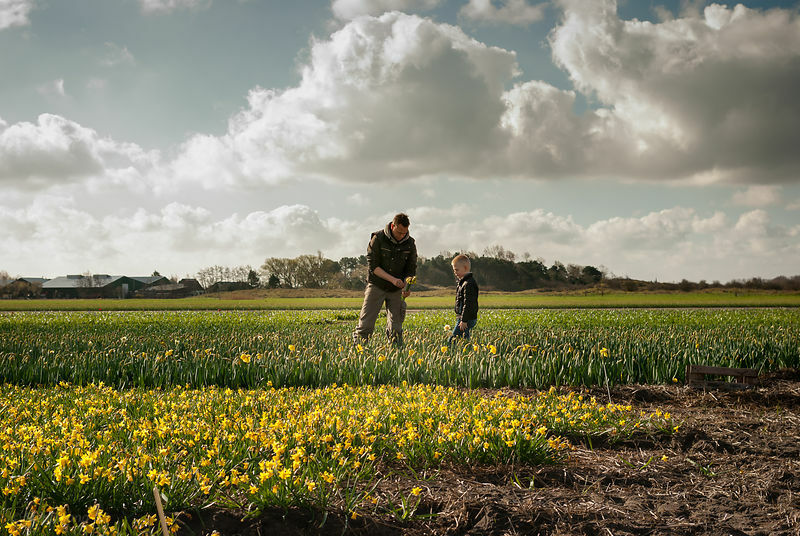 Dad and son working together on the flowerfields. The Netherlands, North-Holland, Egmond Binnen. The boy looks how the man picks and binds the yellow narcisses in bunches. Then he hands each bunch of flowers to his son, who runs up and down to place the flowers in the trunk of the car. 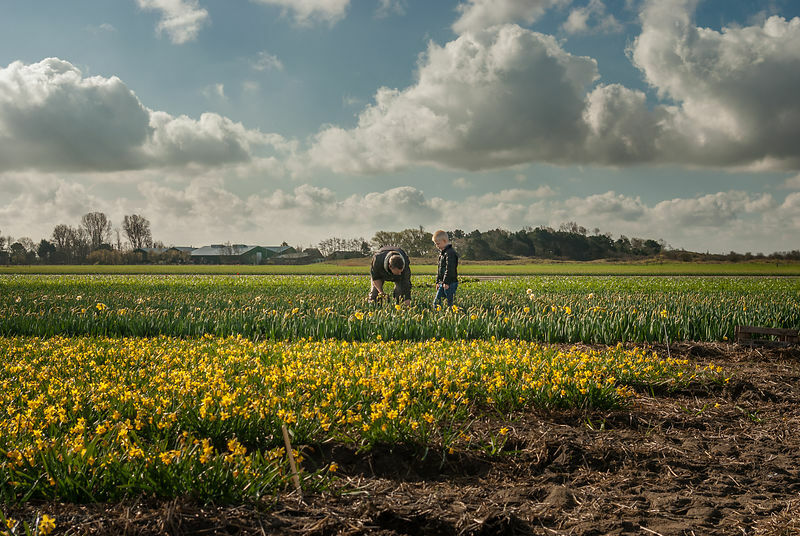 The boy looks how the man picks and binds the yellow narcisses in bunches. 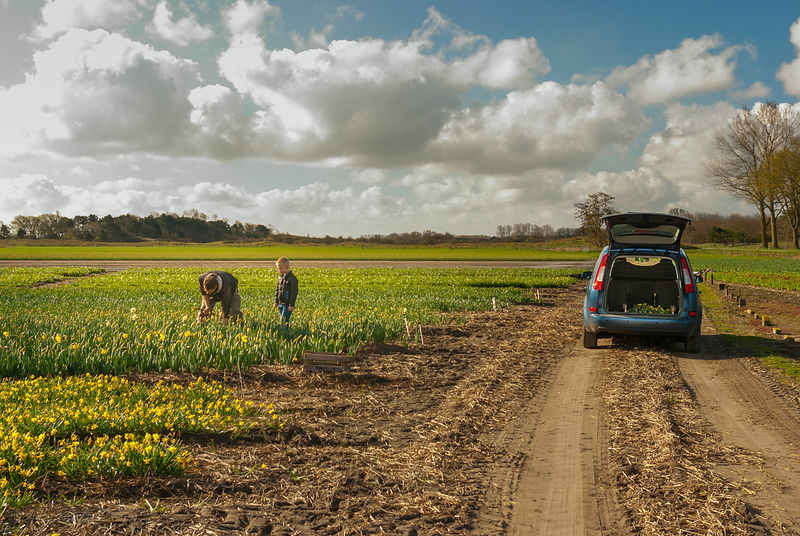 Then the father hands each bunch of flowers to his son, who runs up and down to place the flowers in the trunk of the car. 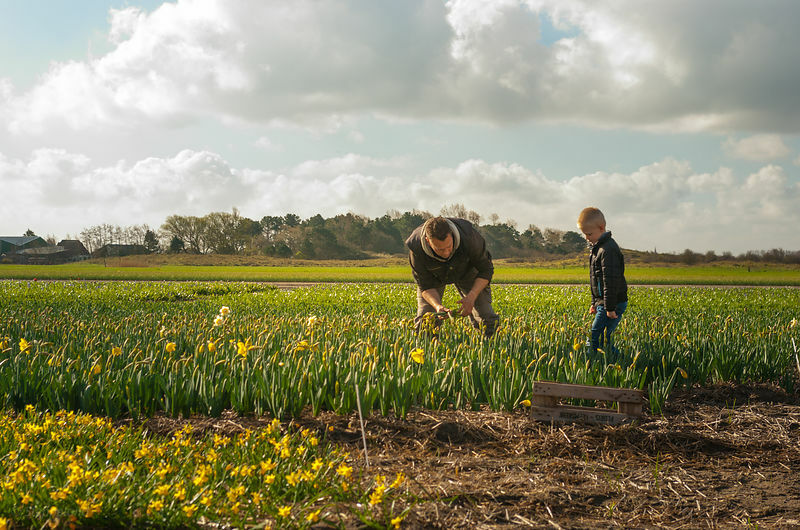 Dad and son working together on the flowerfields. Nederland, Noord-Holland, Egmond Binnen. The Netherlands, North-Holland, Egmond Binnen. 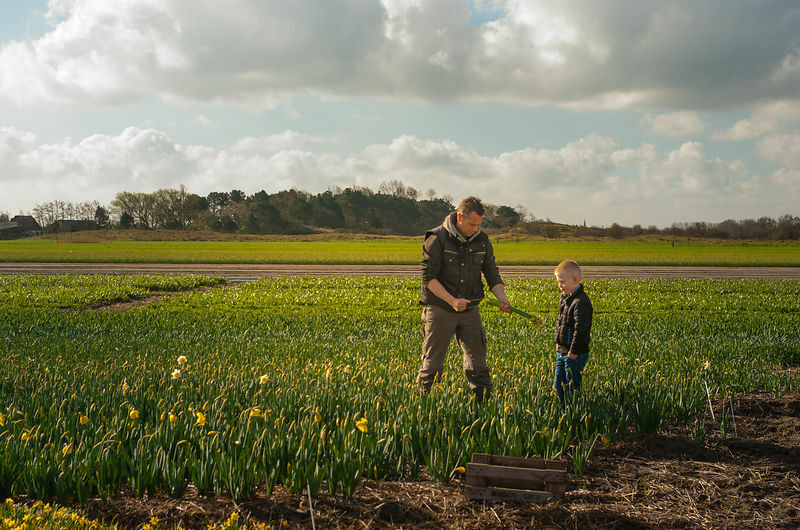 Dad and son at work together on the flowerfields. The Netherlands, North-Holland, Egmond Binnen. The boy looks how the man picks and binds the yellow narcisses in bunches. Then he hands each bunch of flowers to his son, who runs up and down to place the flowers in the trunk of the car. 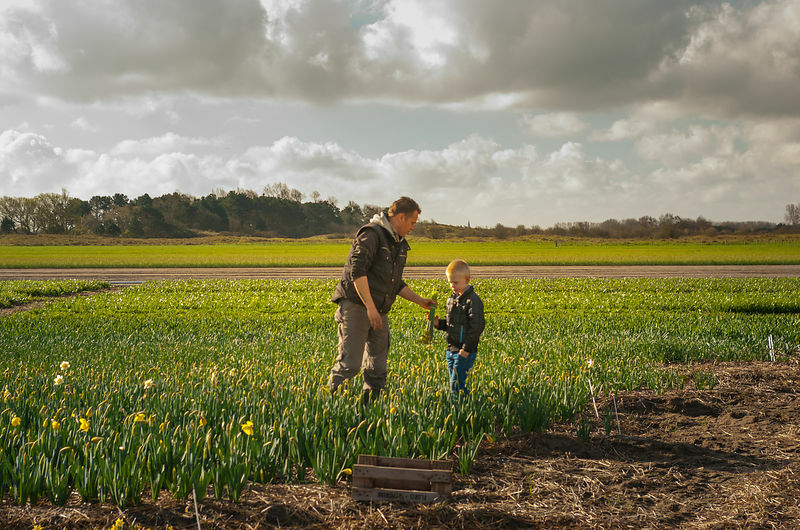 Dad and son working together on the flowerfields. The Netherlands, North-Holland, Egmond Binnen. 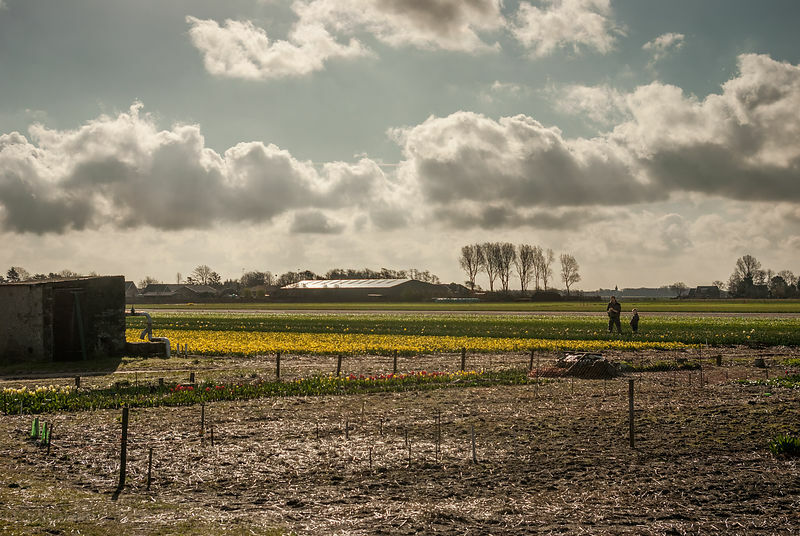 The boy looks how the man picks and binds the yellow narcisses in bunches. Then he hands each bunch of flowers to his son, who runs up and down to place the flowers in the trunk of the car.